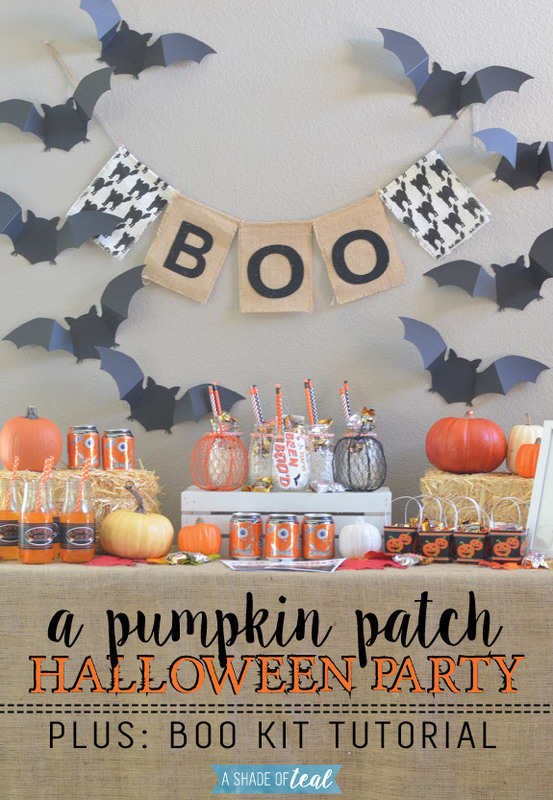 Pumpkin Patch Halloween Party + BOO kits! Its hard to believe Halloween is right around the corner. This year I made a decision to be ahead of things and start decorating and planning early. 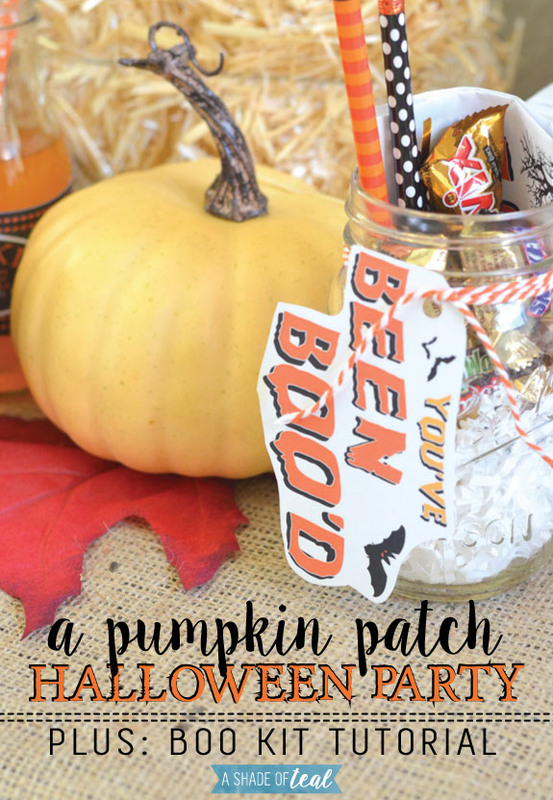 So today I’ll share a Halloween Pumpkin Patch Party, plus a easy tutorial on how to make BOO Kits. First, your probably wondering what a BOO Kit is right? 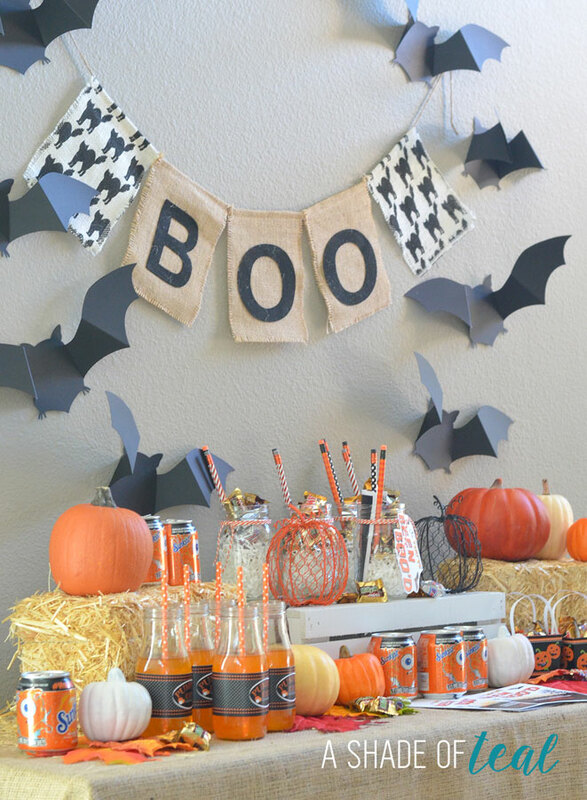 Well its a gift you pass along to your friends, family, & neighbors filled with Halloween treats and goodies. You drop it off on their porch and ring the doorbell and RUN!!! 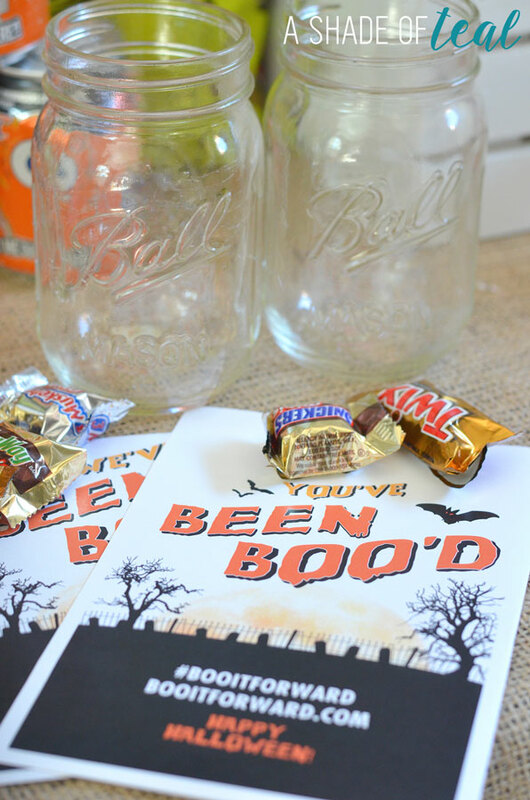 The kit includes a “You’ve Been BOO’d!” sign along with instructions on how to keep the BOO’ing going. So this year I’m starting the tradition with my family & friends and leaving some BOO Kits on their door. For the candy I like to purchase the large bags of my favorite treats. That way if I’m stuck with leftovers I don’t mind! I bought these combo bags of SNICKERS®, TWIX®, MILKY WAY® and 3 MUSKETEERS® at Walmart. 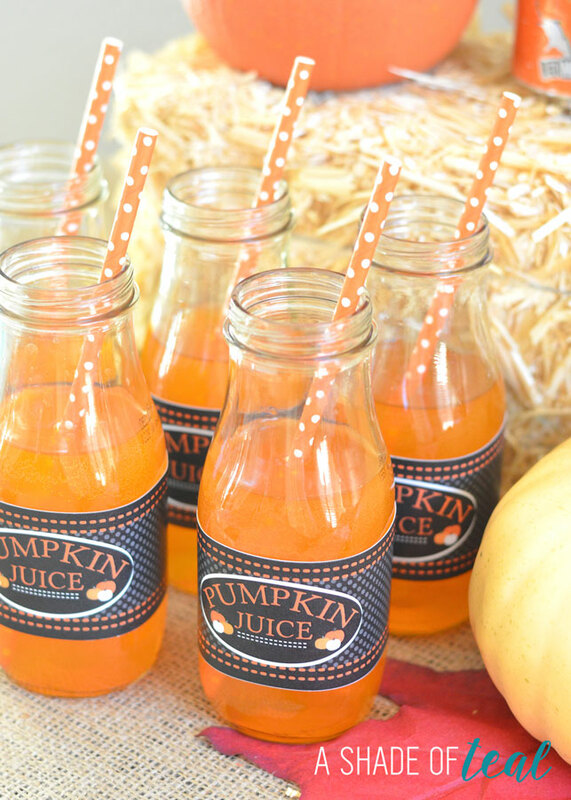 For the drinks I found these cute mini 8oz Sunkist® sodas already decorated with monsters, also found at Walmart. 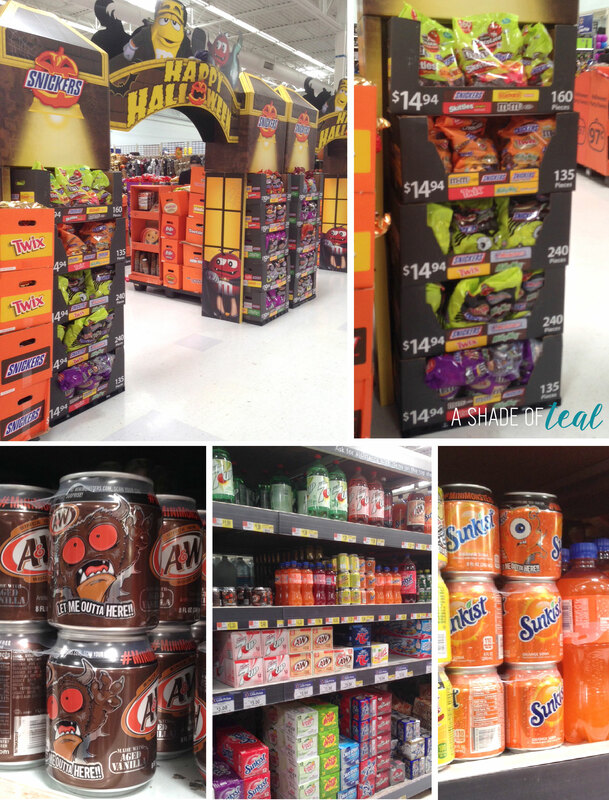 I love the Halloween setup they had at my local Walmart, it definitely gets you in the mood for Halloween! 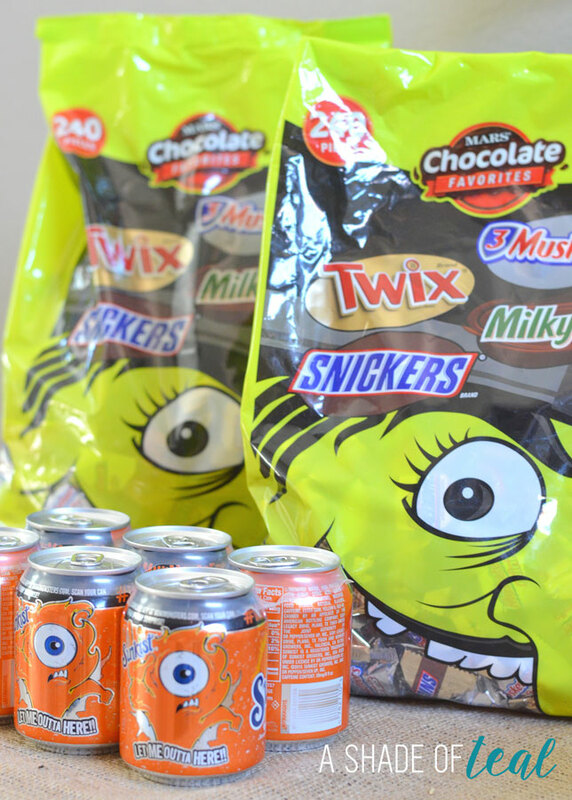 To save $2.00 on on ONE (1) 6pk 8oz Cans or TWO (2) 2L and 2 bags of Mars® Candy get the coupon HERE. For the Gift Bag you can use whatever you want, but I love Mason Jars so that’s what I’ll be using for my container. Finally the BOO Kit Signs, you can print your own BOO Kit cards and sign HERE. 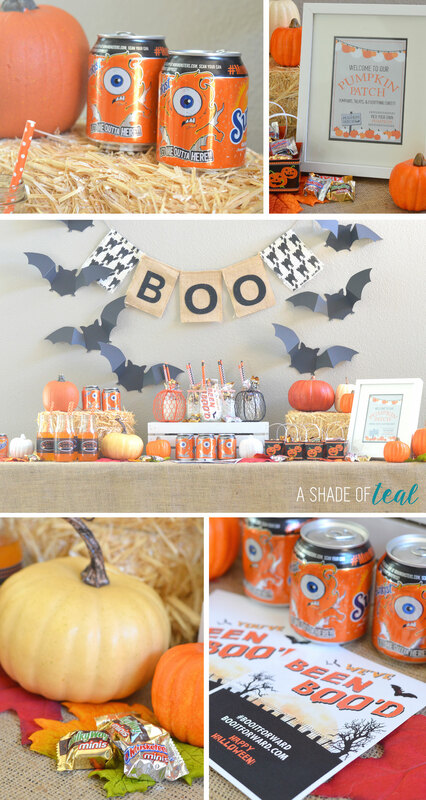 Now that you have all the supplies lets build the BOO kit! 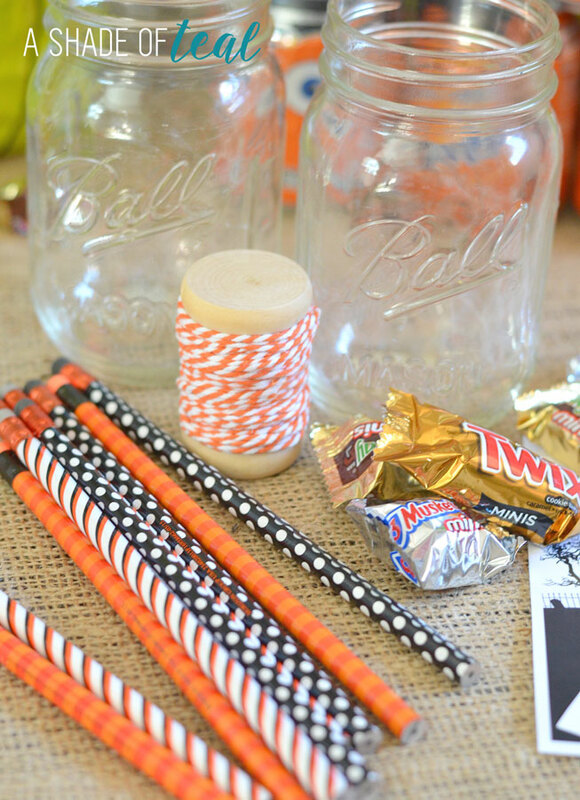 I first used some orange and white string to decorate my mason jar. Then I added some white stuffing followed up with some Halloween pencils and of course the candy. I then grabbed my printed BOO kits. I went ahead and printed several extras of the “You’ve been BOO’d” sign since I planned to cut them out. So after I cut a bunch of extras out I hole punched a hole in the corner and tied it to the mason jar. 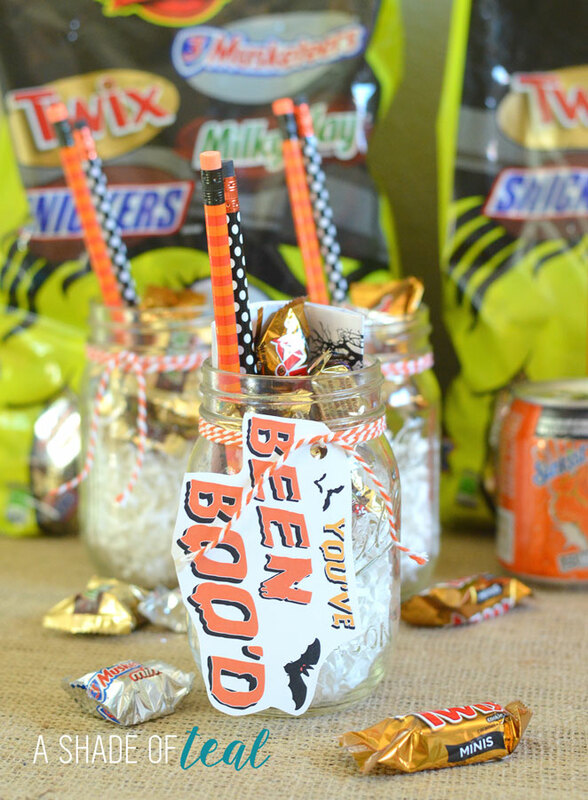 Last, I added the original “You’ve been BOO’d” and “We’ve been BOO’d” sign’s to the mason jar. That’s my version of the BOO kit! 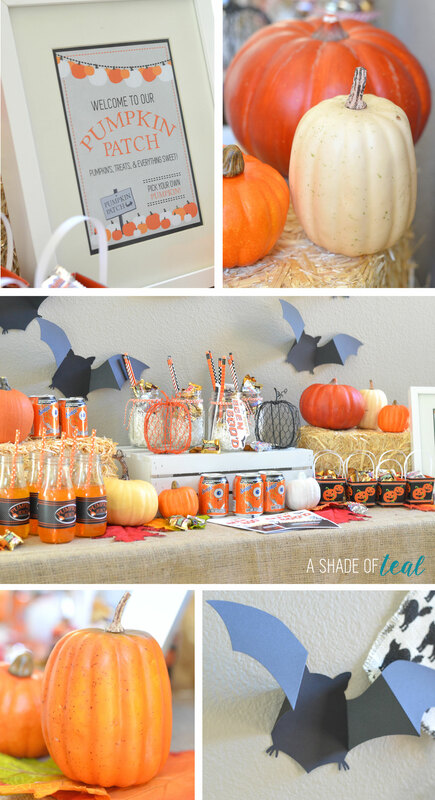 Now for my Pumpkin Patch Halloween Party! I had so much fun with this one. I incorporated my BOO kits along with all the Halloween treats. For a coupon to Save $1.00 on TWO (2) 2L or 6pk 8oz cans of any flavor Sunkist® Soda, 7UP®, Canada Dry®, A&W®, Squirt®, or Sun Drop® click HERE. Don’t forget to enter the #BOOItForward sweepstakes. Are you planning on BOO’ing anyone this Halloween? 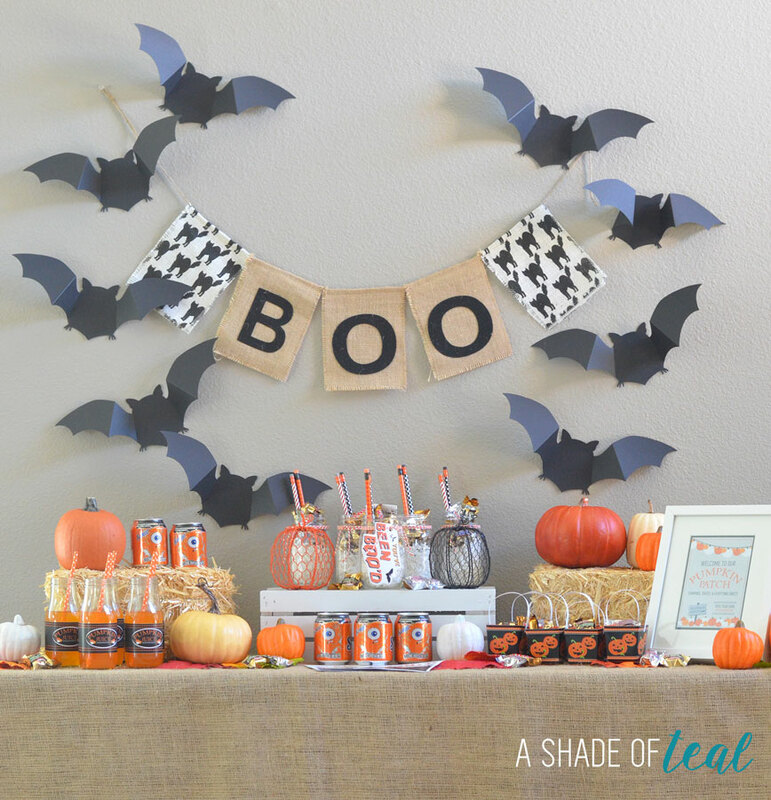 I love to hear your ideas on the perfect BOO kit! 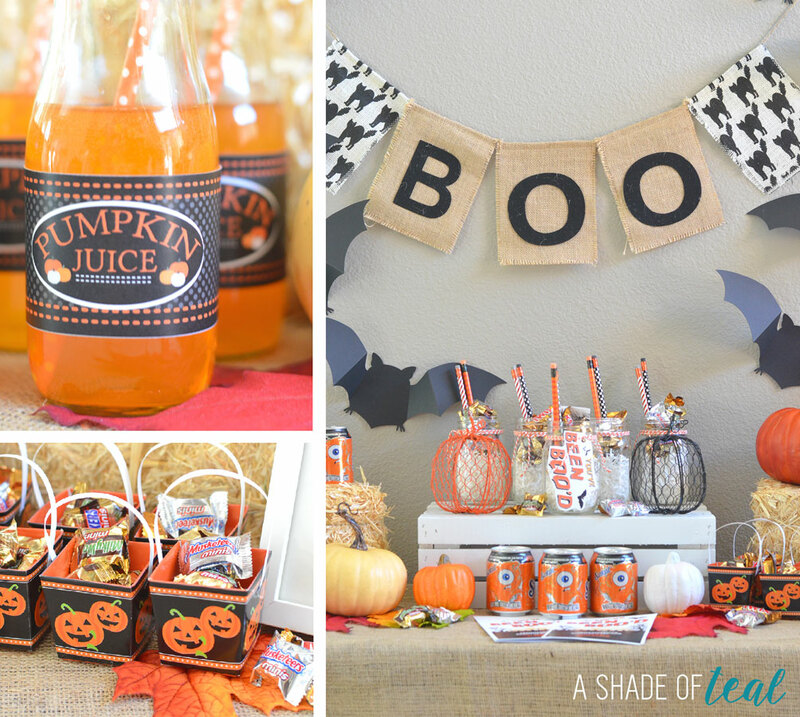 This post is just full such cute and fun ideas! I can’t wait to try some of them. Thank you for sharing them with us! Thanks Lori! It really was so much fun to make! That was one of my favorite parts as well. Thanks!